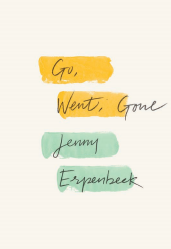 Go, Went, Gone is the masterful new novel by the acclaimed German writer Jenny Erpenbeck, “one of the most significant German-language novelists of her generation” (The Millions). The novel tells the tale of Richard, a retired classics professor who lives in Berlin. His wife has died, and he lives a routine existence until one day he spies some African refugees staging a hunger strike in Alexanderplatz. Curiosity turns into compassion and an inner transformation, as he visits their shelter, interviews them, and becomes embroiled in their harrowing fates. Go, Went, Gone is a scathing indictment of Western policy toward the European refugee crisis, but also a touching portrait of a man who finds he has more in common with the Africans than he realizes. Exquisitely translated by Susan Bernofsky, Go, Went, Gone addresses one of the most pivotal issues of our time, facing it head-on in a voice that is both nostalgic and frightening. But to read his poetry as purely political would be a mistake. The early lyric “Act of Birth” displays the acute linguistic and ethical sensitivity at work. A distinctive combination of mysticism, compression, and wit shapes Krynicki’s writing from the early dissident poems to his late haiku. Small wonder that his influences span the distance from Issa to Zbigniew Herbert, and include Nelly Sachs and Paul Celan (both of whom he has translated splendidly). 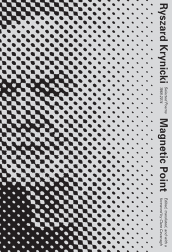 Himself an editor, publisher, and acclaimed translator, Krynicki has won major prizes, from the Polish Poets’ Award to, most recently, the 2015 Zbigniew Herbert International Literature Prize.